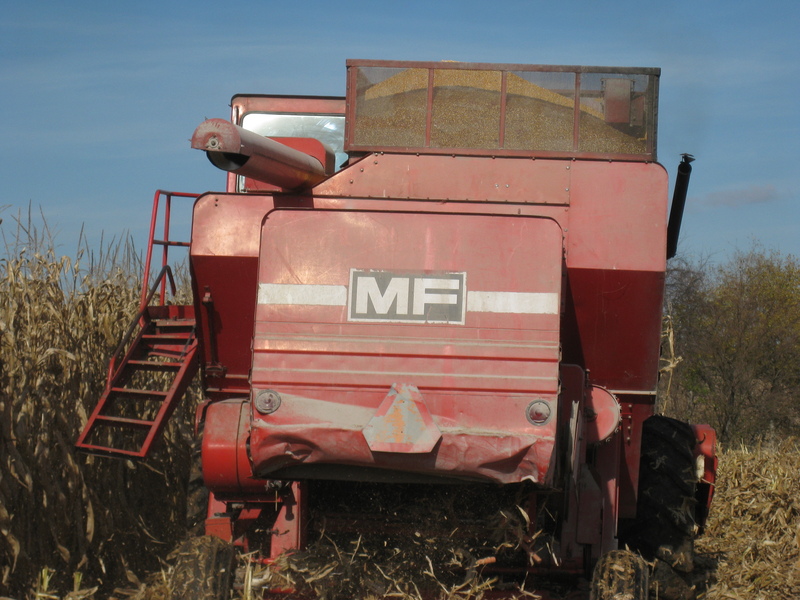 The hind end of our old Massey 750 combine, kicking out cobs. You ever notice people driving down the road with a dent in their car, and then the driver does the maneuver, (tailgating, veering into the other lane, etc. ), which probably caused the previous dent? The dents on this combine tell a similar story, except we have an excuse, it’s impossible to see directly behind. If you ever find yourself behind a combine, look out. I have several people looking out for me, and it’s nice. When they find an article they think may be of interest to me, they tweet or email. Thank you. I appreciate it. This entry was posted on Wednesday, November 9th, 2011 at 8:31 pm and is filed under Curious farmer, Curious living. You can follow any responses to this entry through the RSS 2.0 feed. You can leave a response, or trackback from your own site.